Have you witnessed a dock diving event in or around New York? If yes is your answer, chances are you have seen Tango in action! 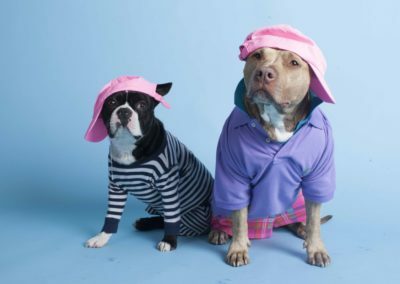 It’s even possible that you are one of Tango’s 27.5k followers on Instagram (@tangomunch_pitbull). Upon visiting Tango’s Instagram, you’ll notice various dock diving photos and videos from DockDogs® events dating back to 2015. 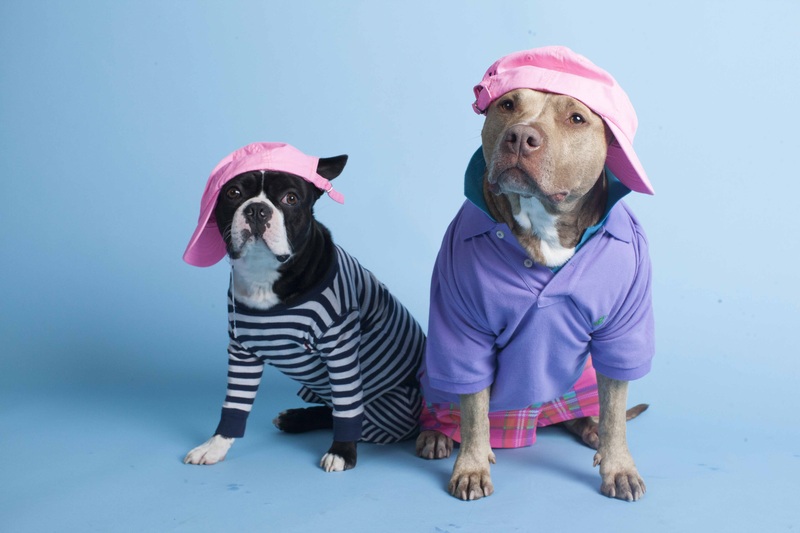 His popularity is increasing both on and off the dock, an obvious reason for this being that Tango is a natural entertainer, fueled by his exuberant friends, fans and Blue Buffalo. DockDogs® went straight to the source, Tango’s handler, Chris, to find out more numbers on Team Tango and how they started their DockDogs® careeer. 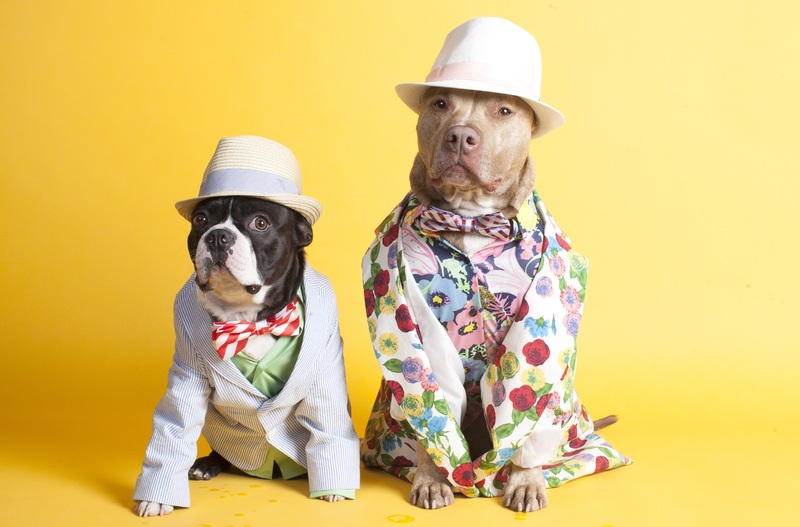 Tango is a talented, outgoing and loving pitbull from Long Island, New York. After browsing animal videos online, as many of us do, his favorite human, Chris, stumbled upon the sport of dock diving. Immediately, Chris knew Tango would enjoy it. What Chris may not have known is exactly how much Tango would flourish in the sport. 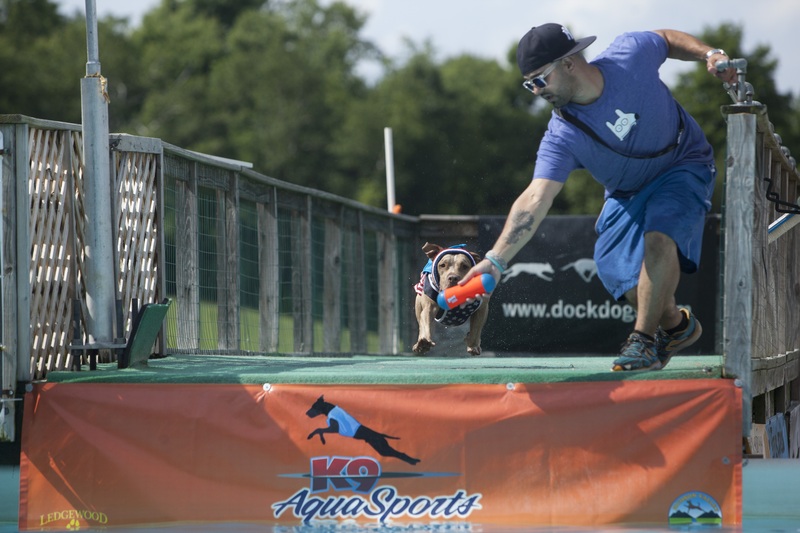 In August of 2015, Team Tango took to the dock at their first DockDogs® event, the Dutchess County Fair. Nerves? What are those?! Chris says, “Tango had no hesitation jumping into the pool! 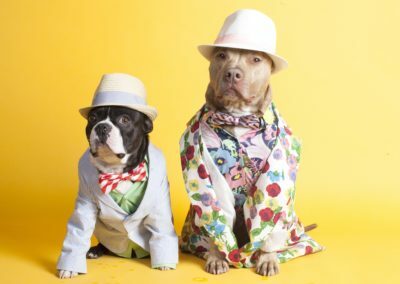 He was a natural and continued to jump bigger throughout the competition.” On the dock, Tango demonstrated a sit stay and obedient manner that many first-time dogs do not possess. 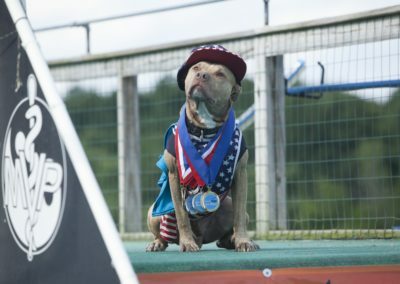 According to DockDogs® HQ, Team Tango’s first recorded jump of a 14’5”, landed Tango in the Junior Division, surpassing the Novice Division in the competition in Rhinebeck, New York. With each competition wave that followed, nearly a foot of improvement came with it. Chris and Tango left the event and took home a personal best of 19’4”. They were only one Senior jump away from earning a Senior Title. In July of 2016, only four events into Tango’s dock diving career, Tango landed a 21’5! 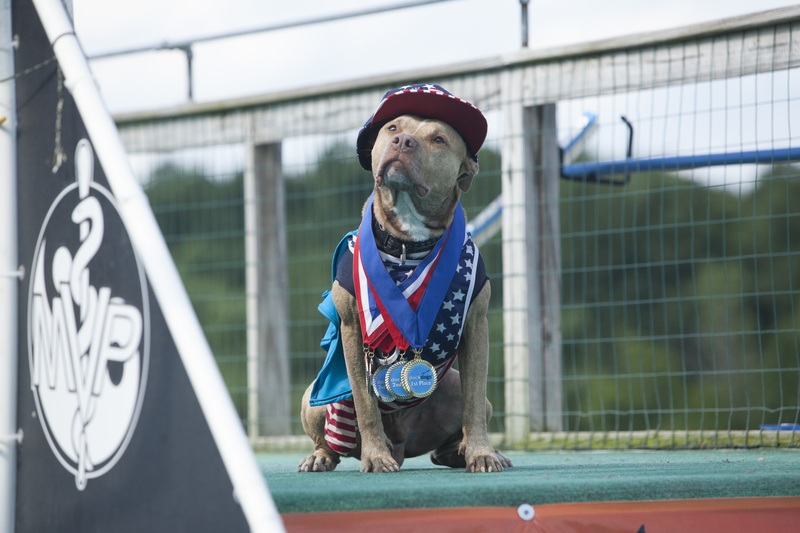 By the end of the 2016 DockDogs® season, Team Tango had jumped their way to a Master title. Currently, Tango’s Big Air Personal Best is 23’5”. For more on Team Tango, check out the interview with Chris below! Q: Does your team train/practice? If so, how? A: Fetch to practice Tango’s sit/stay, and swimming by the nearby lake! If we are unable to train at the park, we take a long walk around the neighborhood to get his muscles moving. Q: What is Tango’s favorite training exercise? A: Fetch! Tango is never too tired for a round of fetch! Q: How does Tango keep busy in the off season? A: Balance training to practice his obedience if the weather isn’t nice enough to go to the park. Tango loves vegetables and during the offseason he eats plenty of carrots and kale sticks! Where to Catch Team Tango this Season! 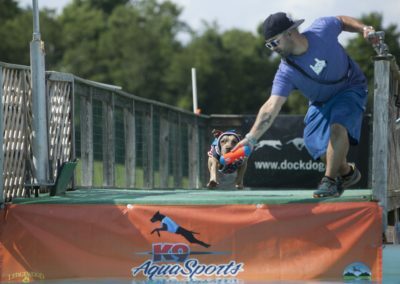 Q: Do you have any DockDogs® events on your schedule for the 2018 season? Or plan on attending specific ones? A: Yes! We will be attending the NY Sportsman Expo in Syracuse later this month to hopefully score a wildcard! We have a few others on the calendar as well. Two of our favorite events are back to back so it will be an exciting June! There is an amazing event in the North Fork of Long Island at Greenport Brewery June 2-3! Our plan is to leave right after the finals and start heading west to Colorado! With this being our 3rd year heading out west for the GoPro Mountains, it has become a staple in our summer plans. Dutchess County Fair is also always on the calendar, since it was Tango’s first event and isn’t too far from home. Q: Does Team Tango have plans of attending the 2018 World Championship? A: Of course! If we get an invite, we will be there!